You’ve heard it. You may have even said it, “Praying for patience is dangerous, because the only way to learn it, is to be tested!” That’s part of growing Godly character, right? And then what happens? Yep, stuff. Lots of it. Who willingly asks God to test them? Do we really want to go through all of that? The truth is, if we want to develop godly character, we must be willing to “go to school” in order to learn it, and Life is our classroom. In fact, I think family is our homeroom. There is nothing quite like family to show you your true self. Yep, I speak as a student. Last week I wrote about relinquishing control of my circumstances by laying down my conductors baton and letting God have His way. That very night, God tested me on this. I didn’t ask Him to, but since I wrote about it, I guess He felt I needed to stay after for tutoring. I was in a situation that had the potential to become frustrating unless certain things were arranged in advance to avoid it. So that’s what I did. I picked up my baton and began arranging things just so. Except “just so” wasn’t to be. Other participants and unavoidable circumstances joined forces so that I was completely out of control. All I could do was wait it out. I did not respond well. Looking back, I see myself waving my baton wildly in the air, like a conductor who is frustrated with his orchestra. I didn’t pass my test. Another morning this week followed a similar pattern. I needed to be someplace at a particular time. But other needs jumped in front of that one–including traffic, long red lights, and a very, slow train. Once again I found myself frustrated and upset. People were counting on me, and I was late! Frustration is the normal response when plans don’t pan out. How I react to the frustration shows what’s going on in my heart. Sitting at a red light, waiting for a long, slow train, I pitched a little fit right in my car. Immediately God whispered in my ear, This is not how I want you to react! I’m in control of your schedule. Everything is fine. Relax! You were in a hurry this morning. This can be an opportunity to take a breather. Please hear me when I say that it’s good and right to plan! A wise person thinks ahead and makes plans accordingly. It’s our response when those plans go awry that indicates what’s in our hearts and where growing Godly character needs to take place. So, what to do? Part of my daily planning should include offering those plans to the Lord from the very beginning–almost expecting that He may have another plan altogether. Then willingly accepting those changes as they happen, not pitching a fit like a two-year-old. If I start out this way, chances are I will be much more flexible as circumstances change–which they certainly will. On a different day this week, I got into my car and prayed, Lord, please order my steps during the next few hours. You know what needs to happen today. I went on about my business and didn’t think about it again. There were several things I was hoping to accomplish, but I didn’t; I wasn’t bothered by it at all. What a difference it makes starting out on the right foot! It seems I’ve been having a lot of pop quizzes this week! Hopefully next week I’ll score better! What about you? 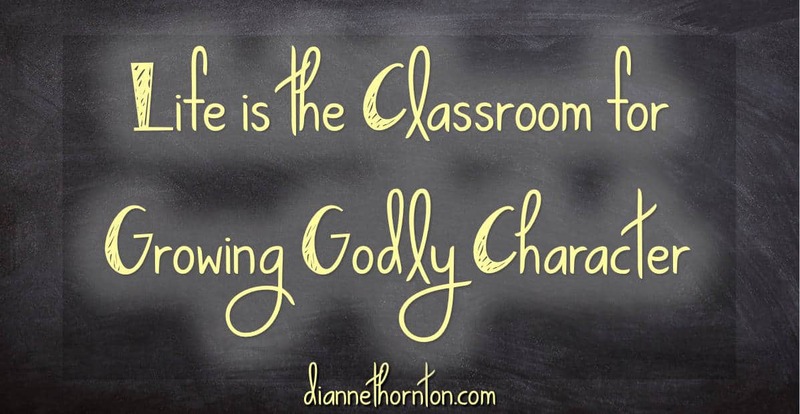 How are you fairing in the classroom of growing Godly character? Go, Jennifer! Praying this week is better for you. But really, praying you are a flexible student!! Love you!! I so agree with all you have written here. I had to smile about the praying for patience part. I’ve been thinking about that a lot lately, how we learn these things the hard way. He really knows what He’s doing though. Life lessons are the most effective. I’ve been praying close to your same words almost every morning: “Lord, please order my steps during the next few hours. You know what needs to happen today.” I get far too caught up in my plans and He is showing me that’s just not going to work :). Candace, I love that God has a much wiser plan for our lives. Sometimes I feel like a child with Him! But you know … I am. And He is a patient Father. Let’s keep moving forward together! 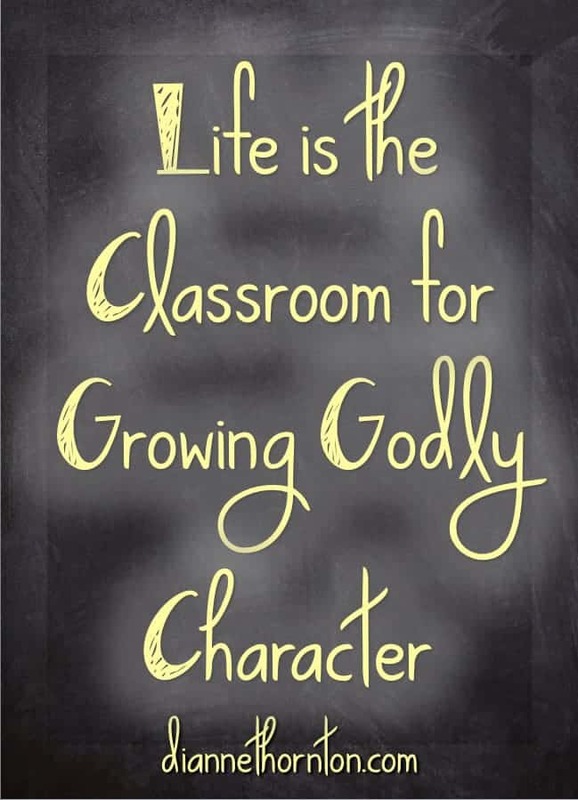 Growing Godly character is something that I have spoken about over the years. I also included an entire week of Bible study on the topic in my first study. It is a topic we do not hear talked about much these days. You did a great job with this. Thanks for this encouragement, Leah. When I went to bed last Friday night, I knew this would be the next post. But I didn’t want it to be. But as the week unfolded, it became more and more clear. Truly, it’s the messiness of life where we learn to live our faith. In the living, the writing, the reviewing, the commenting … God drives this home even further. I’m so thankful for Him. This is just great, Dianne! I am so glad I’m not the only one that writes a post and then doesn’t always live it out right away. SO thankful for God’s grace!! Amen, Stefani! It’s not comfortable at all! But you know, as long as I lay it all out there, God can use it … in my life and in others. Love you!! Frustration…oh dear. Must we talk about that one? I’m working on remembering to offer my day to the Lord before hitting the ground running. So I know we have been online at the same time … But I’m finally getting to my comments!! Oh, Ginger … Such a difference it makes. I have learned I want to pass the test the first time so I don’t have to keep re-taking it!!! HELP ME,LORD! Me, too, Susan. Some of these lessons, though, are really tough! God knew what God was doing when he defined patience as a virtue. Because patience is indeed a virtue. I think we all have to work on this Godly character. Great post today! Thanks, Tara … we need each other for encouragement! Thanks for yours! It was neat for me to read this followup, Dianne. 🙂 I love what you’ve shared here, and it brought to mind one of my very favorite verses from Proverbs: “A righteous (wo)man falls seven times and rises again.” Thank you for sharing about your “fall,” and about how God enabled you to rise again. I’m learning more and more that so much of the Christian life is about getting back up to try again after we stumble and fall. How good our God is to dust us off and send us back out to the race! Thanks for that precious encouragement, Jennifer. The reiteration of this is really in my head right now. I want to build a strong habit as a result! I absolutely loved what you said because it is so true! “That very night, God tested me on this. I didn’t ask Him to, but since I wrote about it, I guess He felt I needed to stay after for tutoring.” He does that a lot doesn’t He?! So thankful for you to share what the Lord did in your life to help others of us who are “going to school” right now as well. I don’t know that we ever really graduate until we are with the Lord! So thankful for His grace. Dianne, I wish I could say I passed every test that came my way but since we’re friends, I know I can trust you with the truth. 🙂 There are times I fail miserably. 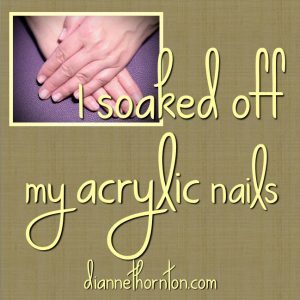 Just yesterday I was feeling overwhelmed with all that lay ahead of me as I prepared for a women’s bible study. 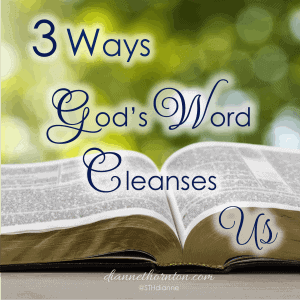 I felt discouraged and faithless and upset that things seemed to be falling apart. Truth is, they simply weren’t going according to my plan. But thank God for His grace. It ended up being a refreshing time that I needed as much as the other women. God is so good! I live that, Marva. So often, in my own experience, when things fall apart, God is bigger! And for me, I think He does that so I know it’s Him and not me! This is such a good reminder for me today. God is not asking me to seek extra credit by working harder and longer, instead he is asking me to just seek him. 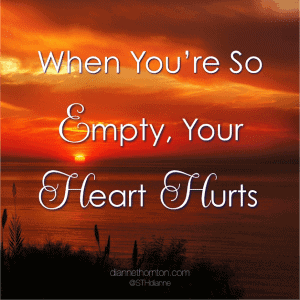 I hold on tight to my things and my schedule but God has disrupted it big time recently. I definitely need after school tutoring and then some. I’ll be thinking about your words for quite awhile and hopefully I will learn the lesson God is trying to teach me sooner rather than later. Thanks so much for your own analogy. We’re not seeking extra credit! These are difficult lessons. And I think when we think we’ve got it down, God switches things up on us to see how we are *really* doing. Blessings to you, Mary! I remember especially dealing with this frustration when mom and dad’s health crises arose 6 years ago AND I was homeschooling two high schoolers. I had to be either in the hospital or doctors office nearly every day for 3 months and after that there were many, many follow ups!!! I learned then to say, “Not my plan, Lord, but Yours. Just like you said – pray, almost expecting He may have another plan. Not everything fits just so into our little box, does it? Thank you so much, Ruthie. I love you!! Love that prayer, Dianne: “Lord, order my steps the next few hours. You know what needs to happen today.” Oh yes, the best laid plans are often changed, and I’m not always so flexible and adaptable. Trying to grow here, friend! Oh, we’re growing together, Betsy! This is a tough one for me! 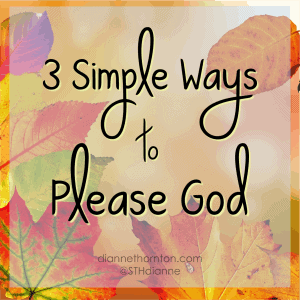 Beautiful post and reminder Dianne! I plan my days with the Lord every morning but yes, sometimes I have a fit when things don’t go as planned. Fortunately we’re learning and growing… and the Lord knows this and extends his never-ending grace to us. So thankful for that grace, too, Jennifer. Blessings to you!